Posted: Sun Jun 22, 2014 7:29 pm Post subject: A new swarm. 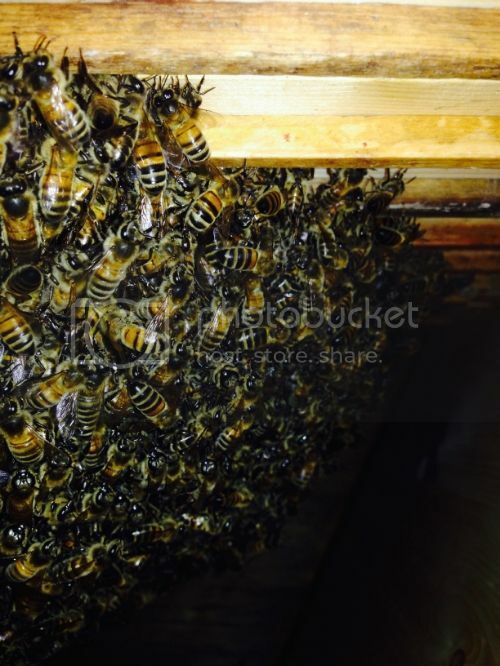 So about a month ago Andy phoned me up to say he had court a prime swarm from one of his hives and wondered if I had any room for it. I had only presently finished a new 45inch tbh and put a split from my first hive into it and there was room at the other end so I jumped at it. He bought it over that evening and we installed it with very little fuss. Here they are right after installation balling up around there queen. Since then they have done incredibly well. They have built lovely straight comb and lots of it. They haven't yet completed a full comb but they have around 7 large combs and some comb on 4 more bars, so thats 12 in total! Not bad for less than a month. 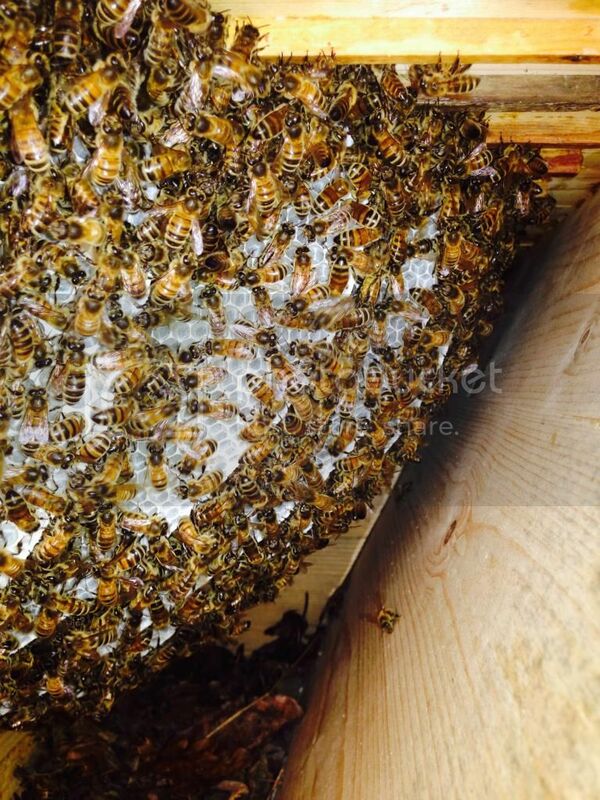 This is my first experience with a swarm, my first bees were a nuc, and I'm really impressed at their industry. Here's a pic of what they have managed so far. Great picture that comb looks really good! Hey...they look great don't they?! It makes all the effort of climbing around in a big Hawthorne hedge worth while. 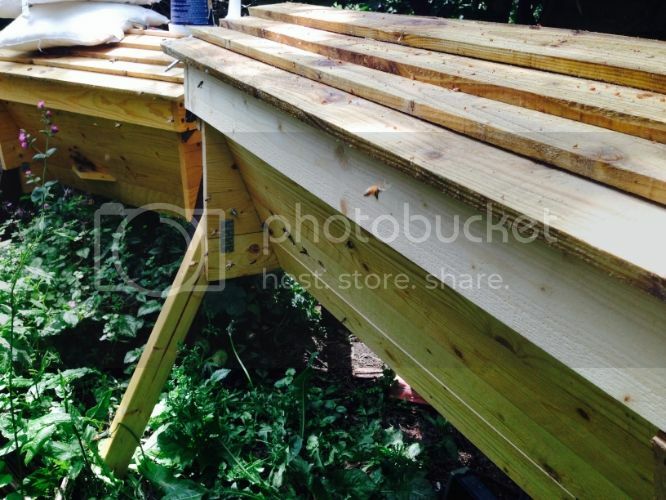 Hello, I started a top bar hive at similar time to you. I'd be interested to know how many combs they have built out, and what your strategy for overwintering them is. Mine have buit 14 combs, of which 11 are of a decent size.